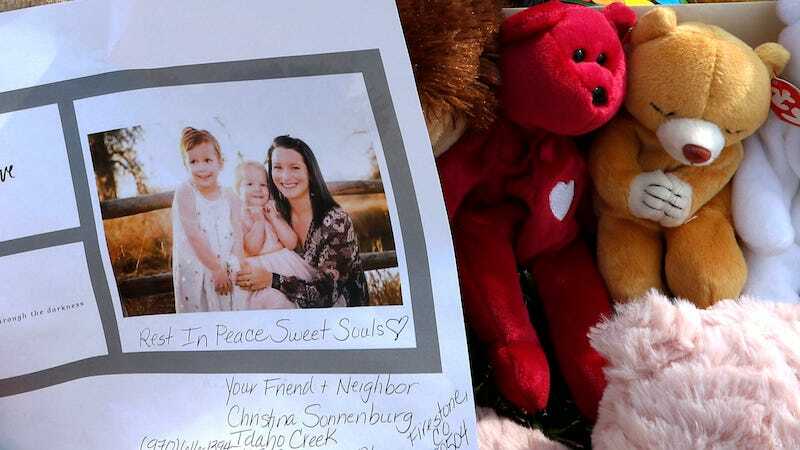 A judge sentenced Christopher Watts to three consecutive life sentences without the possibility of parole for the murder of his pregnant wife, Shanann, and two young daughters. When Shanann and her daughters, Bella and Celeste, went missing in August, Watts initially came forward with an emotionally vacant plea to local news outlets and law enforcement for their safe return. Days later, he claimed he strangled Shanann to death, but only because she killed their daughters in a rage after Watts asked for a separation. He then led detectives to their bodies. The district attorney didn’t buy Watts’s tale, and neither did anyone else who has seen this story replayed many times before. According to the Centers for Disease Control, out of 100,000 women killed in the United States, over half were killed by an intimate partner, typically a current or former husband or boyfriend. Of that number, 15 percent were pregnant when they’re killed. Watts was having an affair with a co-worker leading up to and after the murders. Nichol Kessinger told the Denver Post that when she started seeing Watts in July, he told her he was in the final stages of a divorce. She also noted that he didn’t seem particularly emotive the day his wife and children disappeared. On Aug. 13, the Monday that Shanann and the girls disappeared, Watts texted Kessinger to say that he had been busy. The two chatted like normal throughout the workday. About 3:45 p.m., Watts texted that his family was “gone,” she said. He told Kessinger that Shanann had taken the girls to a play date and had not returned. He seemed casual and didn’t show any emotion, she said. Kessinger barraged Watts with questions: Were there signs someone had forced themselves into the home? Were the daughters’ car seats still there? Was one of the girls’ EpiPens still in the house? Watts didn’t show any emotion during their conversations and tried to change the subject away from his missing family, Kessinger said. “What kind of man slaughters the ones who love him the most?” asked Shannan’s brother. But they did and they do far too often. As Watts was awaiting sentencing, local media outlet reported that Lance Mason, a former Ohio judge was arrested on Saturday on suspicion of stabbing his estranged wife, Aisha Fraser, to death. Violence wasn’t new to Mason—he was previously jailed for nine months for beating Fraser in front of their children. In August 2014 punched his then-wife 20 times and slammed her head against the dashboard of his car five times, breaking her orbital bone. Shortly after his release, the Cleveland Mayor Frank Jackson hired him in an administrative capacity. Both cases are grim reminders of just how mundane violence against women is.